LOCATION.--Lat 40°41'40", long 75°12'12" referenced to North American Datum of 1983, Phillipsburg Town, Warren County, NJ, Hydrologic Unit 02040105, at the center of the downstream side of the bridge on US Route 22 between Phillipsburg, NJ and Easton, PA, 1,050 feet upstream of the Northampton Street Bridge, and 0.4 mi upstream of Lehigh River. PERIOD OF RECORD.--Continuous-record gage-height station, October 2006 to current year. GAGE.--Water-stage recorder with telemetry. Datum of gage is about 155.43 ft above NGVD of 1929. 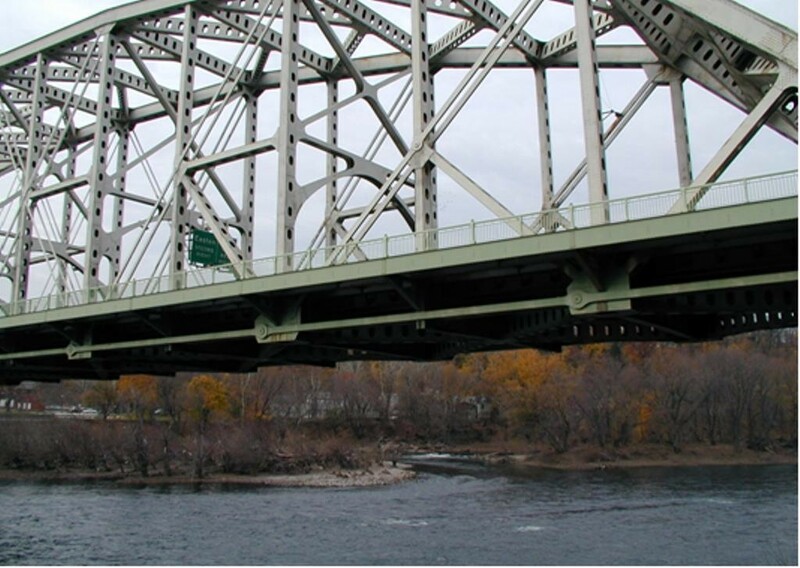 REMARKS.--Previous flood readings were taken by bridge guards at the Northampton Street Bridge 1,050 ft downstream and published as station 01447000. Stage may be affected by variable-stage backwater from the confluence with the Lehigh River 0.4 mi downstream of gage. Annual peak data can be obtained by selecting Peak streamflow from the 'Available data for this site' drop-down menu above or by using this link. EXTREMES FOR PERIOD OF RECORD.--Maximum gage height, 37.09 ft, Jun 29, 2006. EXTREMES OUTSIDE PERIOD OF RECORD.--The flood of Aug 19, 1955 reached a gage height of about 44.4 ft (from high-water mark). National Weather Service flood stage for this gage is 22.0 ft.